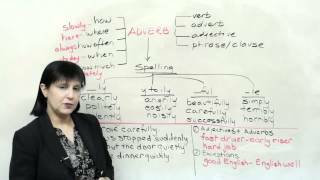 In this lesson we will learn the proper usage of some popular adverbs : Surely,Certainly,Definitely,Absolutely. 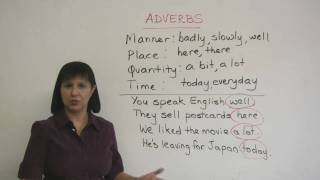 Learn these adverbs, understand how they are used and use them in your own conversations. 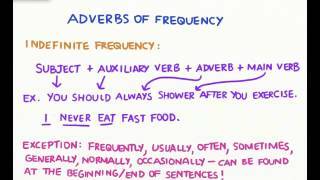 A short video explaining adverbs of frequency. Using adverbs to tell us about a verb; how someone does something and how something happens. We use adjectives to describe a noun (someone/something). 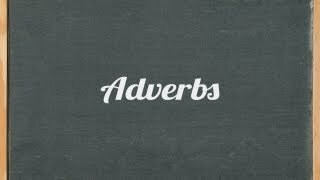 This animation teaches the learner to identify the comparative and superlative degrees of adverbs. This animation teaches the learner to define and identify adverbs, sentence adverbs, adverbs of manner, adverbs of place, adverbs of time, adverbs of degree, interrogative adverbs and relative adverbs. 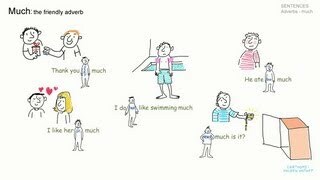 This animation teaches the learner to identify the use of verb helpers or adverbs and to identify 'how', 'when' and 'where' words that describe a verb. This animation teaches the learner to define and identify adverbs of degree. This animation teaches the learner to identify the formation of various degrees of adverbs namely; positive, comparative and superlative. This animation teaches the learner to define and identify interrogative adverbs. 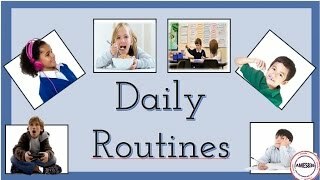 This animation teaches the learner to define and identify the adverbs of time. This animation teaches the learner to define and identify the adverbs of manner.This is a product of Mexus Education Pvt. Ltd., an education innovations company based in Mumbai, India. 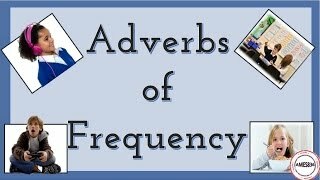 This animation teaches the learner to define and identify adverbs of frequency.This is a product of Mexus Education Pvt. Ltd., an education innovations company based in Mumbai, India.